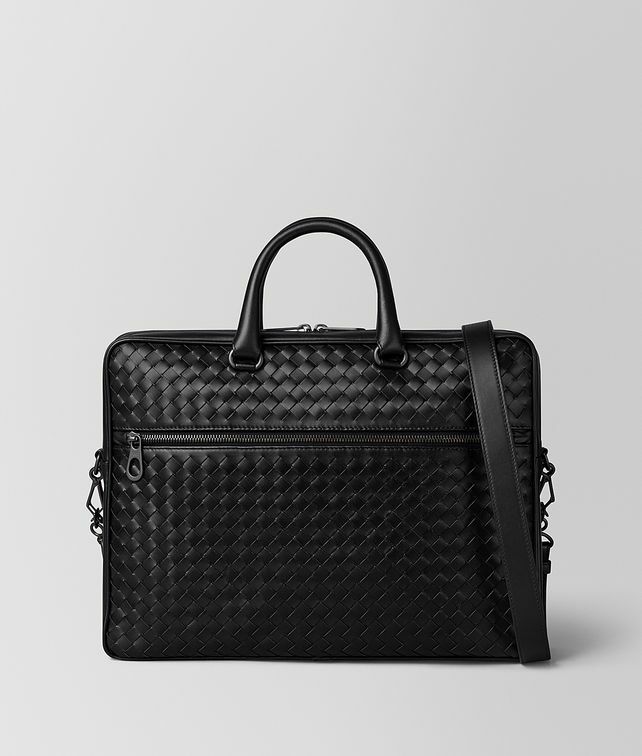 The classic briefcase is refined in soft nappa leather hand-woven in iconic intrecciato. This clean-lined piece is at once sophisticated and functional, designed with two external zip pockets, a detachable shoulder strap and interior pockets including one for your smartphone. Polished hardware in the signature brunito finish completes the look. Height: 27.5 cm | 10.8"
Width: 36 cm | 14.2"